IntegriCert is your one stop for compliance and service. Focusing on major oil companies’ compliance regulations, IntegriCert is a vendor for the most prominent oilfield service companies. IntegriCert is a load testing, inspection and sling fabrication compliance company that is portable to meet or exceed all criteria and regulations that your company will be subjected to by the major oil companies. For your convenience, we post all certification documents on-line, for quick and easy access. 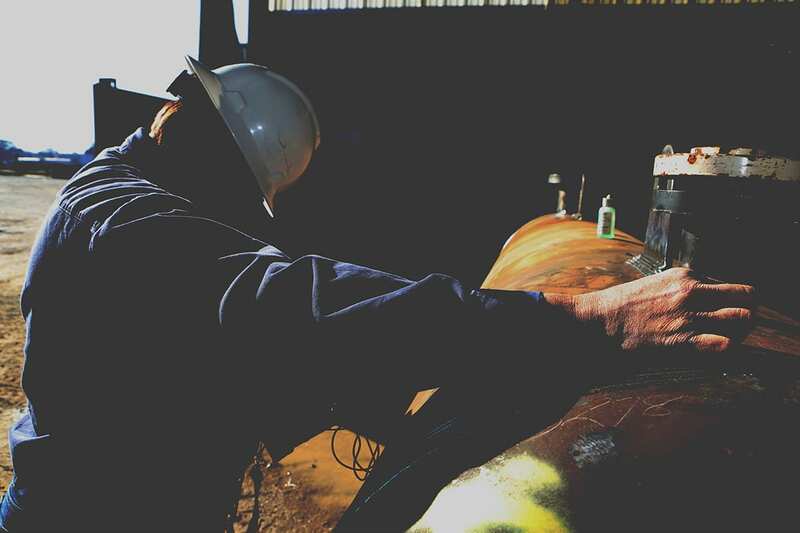 With our patented testing method, your equipment and slings will be in compliance and your company will be able to deliver to any oilfield dock without rejection. With our locations in New Iberia and Houma, Louisiana, and Houston, Texas, IntegriCert is always available to meet your company’s needs. IntegriCert will strive to meet and exceed industry standards, and customers’ requirements and expectations. Through the use of objective and measurable metrics, IntegriCert will collaborate with internal and external customers to ensure quality expectations of all parties, as well as all appropriate industry standards, are met, best practices are incorporated, and robust and efficient quality processes are developed, followed and continuously improved. November of 2004 saw the formation of two unrelated companies that formed the basis of today’s IntegriCert, LLC. Through coincidence, in November of 2004, the Louisiana Secretary of State’s office acknowledged the formation of Mammoth Testing and Rigging, LLC, and IntegriCert, LLC, by two separate groups with distinct business visions. Mammoth Testing and Rigging was originally formed as a wire-rope rigging shop. Built upon the extensive experience of the founder and key employees in the wire-rope and energy industries, the company set out to provide top quality fabrication and inspection of the wire rope and chain slings used throughout the energy sector. Simultaneous with the formation of Mammoth, a group including Mr. Lawrence Foley, P.E., formed IntegriCert, LLC, and in short order applied for a U.S. patent on a “Load Test Apparatus for Shipping Containers”. Mr. Foley’s group recognized the need for a better, more efficient means to test baskets and other cargo carrying units that were used so frequently in the offshore energy industry. Their vision was to more accurately simulate an actual load in a cargo carrying unit, or CCU, in order to provide a better testing and inspection process and, ultimately, a safer working environment. Fast forward to 2009 and the Mammoth and IntegriCert groups began discussions in earnest around the similarities of their respective operations. At their most basic level, both companies were involved in the testing, inspection, and certification of below-the-hook lifting devices. Thus, in 2009, Mammoth and IntegriCert merged into IntegriCert, and the two formerly separate companies became one. Calling on its disparate beginnings, today’s IntegriCert continues to provide top quality service to the energy sector. 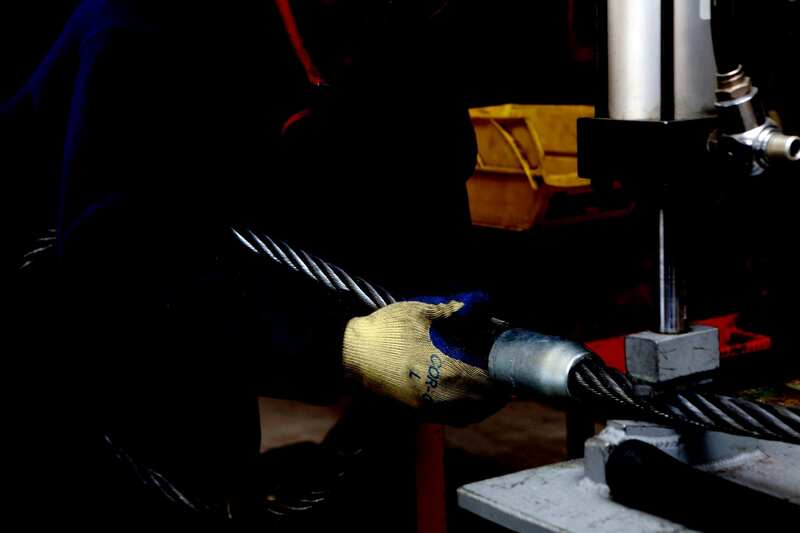 Whether in the fabrication, testing or inspection of new slings or lifting sets, IntegriCert can insure that your lifting needs can be met safely. And taking that process one-step further, we can also assure that the CCU or other piece of equipment to be lifted has been tested, inspected, and certified to withstand the rigors of the offshore energy market. By engaging the combined expertise and experience of IntegriCert, you can be assured that all of your lifts are being executed with safe and compliant lifting sets and equipment. We are in business to Certify the Integrity of your lift!